I don’t envy Chris Terrio. What in the world is Episode IX going to be about? Chris Terrio and JJ Abrams have to write a chapter to follow the Last Jedi (TLJ). Doing so is going to be almost impossible. I’ll try to explain why later… But just think about it: What is it going to be about? Here’s my bottom line review of The Last Jedi: Rian Johnson hit a target in the bullseye. That is, he accomplished exactly what he set out to do; he satisfied his own criterion. But was it the right target to aim for? The question (for audiences and critics) is whether he was aiming for the right thing. If you agree with his target, you’ll love the movie; if not, you’ll hate it. I’ve not read or heard many reviews that were lukewarm. Either Johnson improved Star Wars or “ruined” Star Wars. In my review, I have three goals. First, I want to argue that TLJ is a truly good film. I think it’s Rian Johnson’s best by far, and probably better than Rogue One or Episode VII. Second, I want to argue that people are justified in not liking it. I get it. TLJ is weird and disappointing and destructive. It changes things and plays fast and loose with sacred elements of the franchise. Third, I want explain and defend the expectations that one must have in order to enjoy the movie. I’ve been very curious to understand why this movie is so divisive. Almost half the movie going audience hated the dang thing; and almost half loved it. The film is slightly less divisive than Donald Trump, but only slightly. It’d be nice for some more reviews that help each side understand the other. All that said, I won’t fault anyone for disliking or even hating the movie. I’ve tried to read and hear as many negative reviews as possible to try and understand the fan experience of this film. In important ways, TLJ does violence to many aspects of “Star Wars.” So I’ll try to discuss the most common complaints below. Personally, I enjoyed every minute of it. This is a movie I will re-watch with pleasure, not out of hankering for the Original Trilogy (I can always watch the Original Trilogy for that!) but in order to again feel the awe and amazement at these characters and the power of the Force. That said, there’s no accounting for taste. I won’t try to convince you that you “should” like the movie, or that it’s wrong to be disappointed. To call any movie good, you have to defend a criterion of “goodness”. What should the film be aiming to do, and does it do it? You may not enjoy the movie, even if you agree with me. However, I’d like to convince a few people that there is a mindset or set of expectations in which you can enjoy the movie, and a mindset or set of expectations in which you just cannot. What was the bullseye Johnson was trying to hit? What were the expectations that, if you had them going into the theater, you came out satisfied? My two criteria are first, that The Last Jedi is a fun, entertaining movie that managed to defy expectations. TLJ had to do to please fans by surprising them. That’s a tall order after two years of fan speculation about Leia’s fate, Rey’s origin, Luke’s role in all this, Snoke’s identity, and more. Johnson managed to play the “con-man” to our confidence and deliver multiple big surprises, even up to the last scenes. For me, that was satisfying. Secondly, TLJ does something I thought impossible after the Prequels and Episode VII; it improves Star Wars. Episode VIII is “more Star Wars-y” than Episode II, written by George Lucas himself. Of course, to assert something that crazy requires justification: what makes a Star Wars movie “Star Wars”? What is the essence of Star Wars? What does “being Star Wars-y” mean? That’s a much harder question I’ll try to tackle later. So, in sum, in these reviews my goal is to defend the film by defining the criterion of success and explaining what ‘mindset’ makes it enjoyable, and then consider the biggest the complaints and objections and the ‘mindset’ that makes the film miserable. Was TLJ a good movie? Did it satisfy expectations? Did it please fans and critics? First, we have to keep some perspective. TLJ had to meet insane and impossible expectations: it had to be on brand for a Star Wars movie and yet unpredictable, unexpected, and surprising. 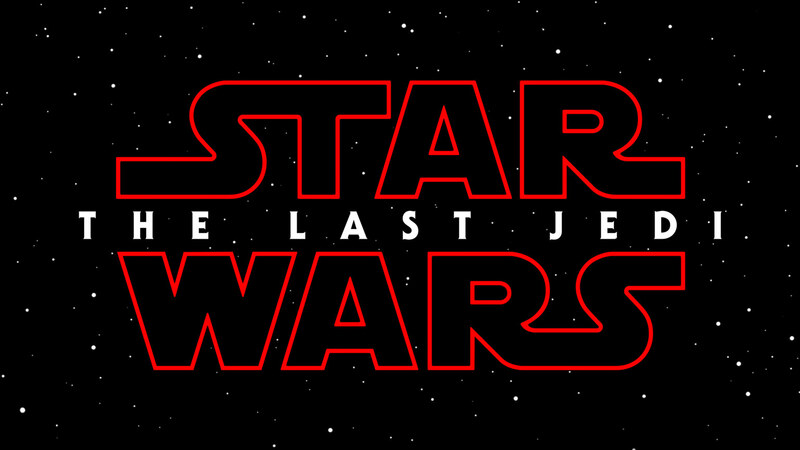 It had to avoid the pitfalls of the Lucas-era prequels (too different from the original trilogy) and that of the JJ Abrams reboot (too similar to the original trilogy). It had to please original trilogy fans (age 20-45) who have enchanted childhood memories of Perfect Star Wars films and it had to please “new” young fans (age 5-12) for whom this may be their first Star Wars films. The only way to meet paradoxical demands is with a paradoxical solution. In my view, TLJ met all the impossible expectations by being impossibly good. It did contradictory things at the same time and somehow worked. 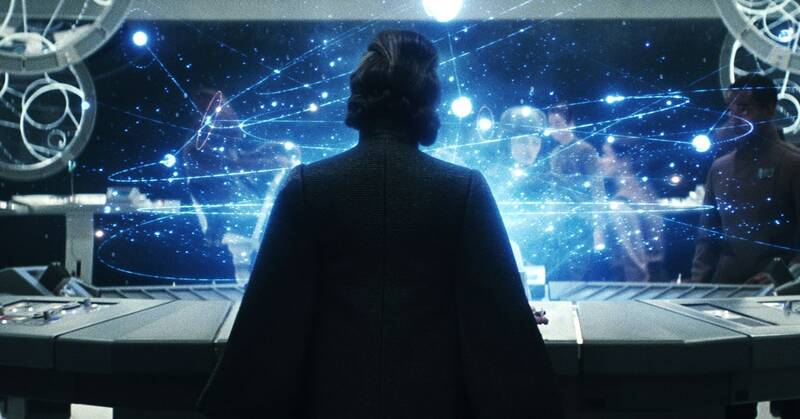 TLJ was comfortably familiar: the opening space battle against impossible odds, the “run and chase” plot that doesn’t really matter (remember the “run from the Empire” plot of Empire Strikes Back? ), an awesome light-saber battle, the unbreakable bond between Luke and Leia, the “Resistance” forces are back to being called “Rebels”, AT-AT Walkers, an ice planet – scratch that, salt planet. The best moment of the film – Luke gazing into the sunset on Ahch Tu – was powerful in its own right and recalled the best moment in the Star Wars Saga – Luke gazing into the twin sunset on Tatooine. Also, TLJ was uncomfortably new: the irreverent humor, the Rose sub-plot, the alien milking, Luke’s cynicism, Leia’s surprising display of the Force, the visit to Canto Bight, the not so subtle “social justice” points about animal rights and war profiteering, Snoke’s untimely demise, Rey’s Jedi training (or lack thereof), the “Master Codebreaker” con man character, Luke’s force projection. And more. Ask yourself, though: How much of your love or hatred of the movie arises from the new, different, and weird stuff? Then ask yourself: what else could Johnson do? Episode VII was some new, mostly old. That’s because J.J. Abrams is a re-make artist: Mission Impossible, Star Trek, Star Wars, Super 8 (basically a nostalgic remake of Goonies and other Spielburg films), and finally Episode VII. By contrast, Rian Johnson is an original artist. Johnson made his name writing and directing movies from all the most brain-bending genres, such as a time-travel film (Looper), a noir whodunnit (Brick), and a film about two professional con men (Brothers Bloom). Accordingly, TLJ had enough twists and turns to keep audiences guessing the entire film, complete with a surprise ending. TLJ was undeniably “weird”. It was weird in ways that are idiosyncratic to Johnson alone. I would guess that’s why Kathleen Kennedy chose him to direct. She was right to do so. Star Wars was either going to turn down the safe “remake Empire Strikes Back” path or else make a sharp left turn and become… weirder: Bodhisattva Luke weird. Super Leia space flight weird. Monte Carlo horse racing weird. Purple-hair Holdo weird. What else could Johnson do? If you admit that there is nothing else Johnson coudl do, then a lot of complaints become moot. Yes, it was weird. But if the only other option was to have JJ Abrams remake Episode V with slight variations, then a whole other set of fans would have complained, and rightly so, for that very reason. Again, we can ask whether TLJ a good movie and whether it pleased the fans and satisfied expectations. Now we can answer more exactly: It was a good movie by simultaneously satisfying some expectations and defying others. The only expectation you needed to enjoy this film was to expect the unexpected. Expect a movie about con-men, time travel, and whodunnit mysteries, because that’s what Johnson is good at. If that was your expectation, that’s exactly what you got. If you want to enjoy this movie, it’s up to you. Don’t complain that it was too different from the original trilogy or Episode VII. Be grateful it wasn’t too similar. “This is how we win: not by fighting what we hate, but by saving what we love.” That line, from Rose, was the second most important line of the film. Now I’d like to argue the really hard thesis that TLJ is a truly good film. First, we have to start with the less controversial stuff: it looks and sounds like Star Wars. That’s a low bar, but it clears the bar. It successfully looks, sounds, and “feels” like Star Wars. That doesn’t make the movie great but it helps. Second, the acting is the best out of any Star Wars movie (except perhaps Rogue One). Leia’s acting was better than passable, unlike The Force Awakens. Luke’s acting is better than the Original Trilogy. Rey’s acting has even come along, and Kylo Ren is even better than he was before (and still the best of the bunch). The acting and special effects and so on don’t make a movie great, but I point them out because even the most aggrieved haters are admitting that they were good. Start with the obvious. More to the point, The Last Jedi is actually a good film because it improves the Star Wars universe. Here’s a few ways it does so. It answered the question some of us have had for 30 years: if Leia is a Skywalker, why isn’t she force sensitive? Or, if she is force sensitive, why doesn’t she ever cultivate that ability? VII merely deferred this question by placing Leia firmly in her career as a military leader. VIII answers the question in a powerful and unexpected way: Leia has deep if undeveloped Force potential that she can use, at the verge of death, to pull herself to back toward her ship. She still nearly dies, but it saves her life. Another major question VIII answered is about the Force. What is the Force? Johnson managed to do something no on has yet done: explain the Force in more detail without making it hokey. The Original Trilogy explain almost nothing besides Obi-wan’s elliptical comments to Luke at the beginning of A New Hope. Episodes I-III did worse than silence: they partially demythologized the force by explaining it away as a scientifically measurable particle in the blood (or at least appearing to do so). Episode VII, The Force Awakens made a few playful quips about “That’s not how the force works!” but did not explain anything. 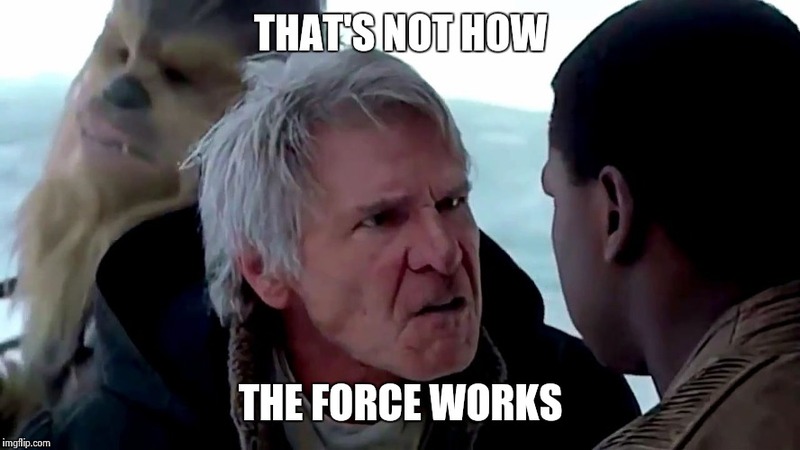 If anything, VII confused us by making Rey’s “raw, untamed” strength so useful despite no training or understanding. According to Johnson’s New and Improved concept of the Force, it is a balance between light and dark, life and death, that does not belong just to Jedi. I don’t know exactly what all this means, but it actually sounds worth thinking through. There might be something to it. I know, there are big complaints with the plot. But hear me out. To paraphrase screenwriting guru Robert McKee, plot is “value reversal”. Plot is the change from a starting condition to the final condition. Plot can be either what happens or what is revealed; it can be what characters do and what they discover. A movie’s plot has to show the movement or transformation from state A to B: In a Rom Com, the plot is the transition from lonely and single to happily married; in a horror movie it’s the transition from safe and alive to scarred and dead. In a Star Wars movie the “plot” is the balance between light and dark, not just whether or not the Death Star has been destroyed. TLJ begins with a space battle between the First Order (at the height of its powers) and the Resistance. It ends with the First Order basically victorious, taking some losses but almost snuffing out the Resistance entirely. All the remaining souls in the Resistance fit on the Millennium Falcon and zero of the resistance sympathizers who are “scattered in the outer rim” responded to Leia’s distress signal. It begins with Kylo Ren submissive to Snoke, the Supreme Leader, but failing to commit matricide against his own biological mother. It ends with Ren as the new Supreme Leader, having committed patricide against his own guru. It begins with Rey, handing Luke his old lightsaber, askin him to join the Resistance, and asking him to develop her “raw, untamed power” to show her “her place in all this.” It ends with Luke having helped Rey train at least a little (2 out of 3 lessons isn’t bad!) More importantly, Luke ultimately grants Leia’s wish to help the Resistance. Despite being old and shipless, he uses his Legendary status as Luke Skywalker to knock Kylo Ren down a peg, and tell the new Supreme Leader that “the war is just beginning.” We are also lead to wonder if Luke may return in Episode IX, as a Force Ghost, to finish Rey’s lessons. All of this is perfectly good stuff. Most of the complaints about the plot are complaints about (a) the “run and chase” Macguffin or (b) the Canto Bight sequence. First, it is lame that the First Order just puts it in autopilot and chases the Resistance Fleet. But it’s not unacceptably lame. Because this movie is not about the First Order / Resistance chase scene. It’s about Rey, Kylo, Snoke, Luke. It’s about hope, failure, and balance. On these main themes, the movie is tightly constructed: Snoke is dead, but so is Luke. Ren is the Supreme Leader, but Rey is going to be a Jedi. The Resistance is hurt badly, but there may already be allies born (the slave children on Canto Bight) who will soon be old enough to fight, especially if they are inspired by harrowing tales of of the heroism of Luke Skywalker. 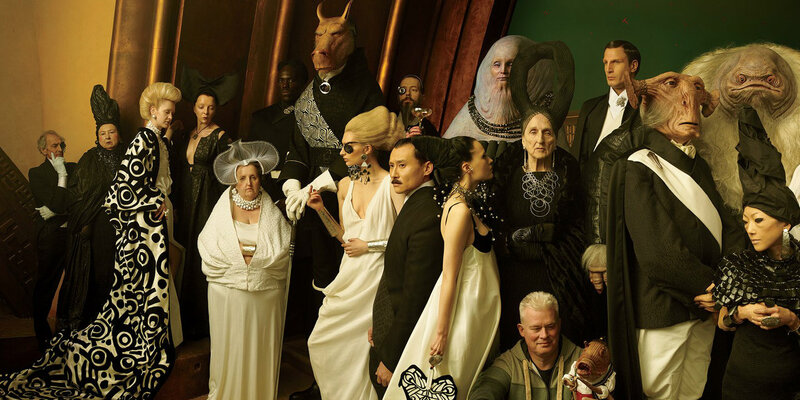 Secondly, the Canto Bight sequence is not pointless. It shows us a third segment of the Star Wars galaxy: the polished, clean, rich kind of villainy. We’ve seen the Emperor’s sinister darkness, the Ewok’s natural goodness, Jabba’s dirty ignobility. We’ve now seen a slick form of evil, the degeneracy of the casino and the nearly lethal comforts of the luxory cruise. Canto Bight is everything wrong with Monte Carlo, Vegas, Cruise Ships, the Derby. Even if you disagree that being rich makes you evil, there are special evils particular to the rich. Canto Bight also introduces us to the child with the broom who is likely to be the hero of a new Star Wars movie, or potentially even a new trilogy. This child also confirms that the shocking revelation about Rey’s parents is true, and not just a lie from Kylo. Rey is a “nobody” from “nowhere” and yet she is a rockstar with the Force. That child with the broom proves, as Ratatouille does, that not everyone can be a great Jedi but a great Jedi can come from anywhere. Episode VIII has flaws. And I understand if you hate it. But for these reasons, among others, I think it’s Rian Johnson’s best by far followed by Looper and Brother’s Bloom. My sense is that it is probably better than Rogue One or Episode VII, but I’m open to negotiating that. But with all that said – it defied expectations, added to the Star Wars Universe, opening up possibilities by ruining simplistic plans for Episode IX. It was a surprising movie that made all of us wonder what in the wide galaxy will come next. And restoring that wonder was worth the price of admission.